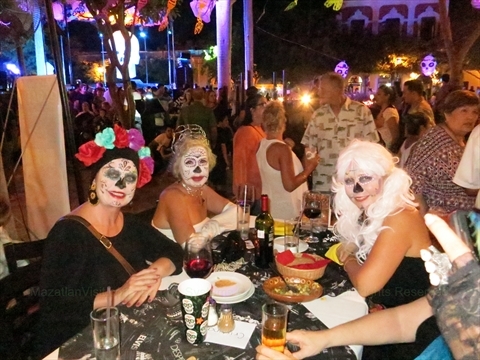 The Day of the Dead is celebrated annually in Mazatlán. 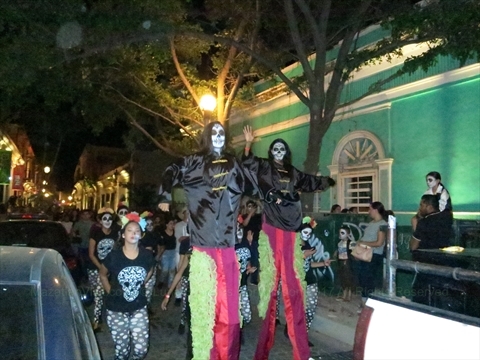 There is a large parade in the old town of Mazatlán annually in the evening of November 1. The following day, November 2, many families go to cemetaries to celebrate with their dead relatives. 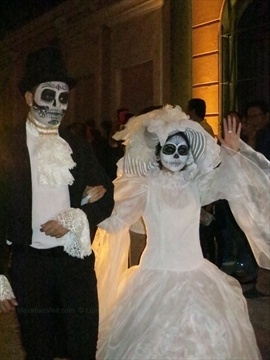 During these few days, you can see the Mexican Day of the Dead traditions. 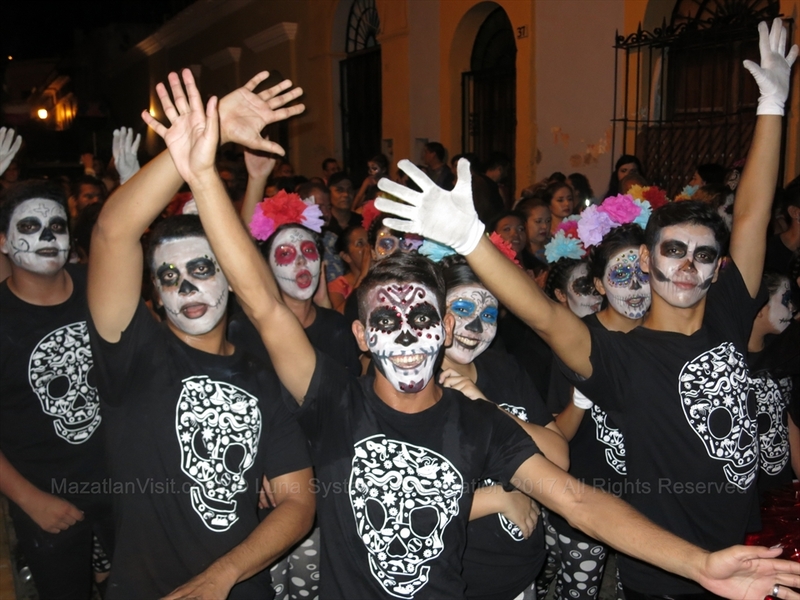 Upwards of 20 thousand people take part in the annual Day of the Dead parade in Mazatlán. 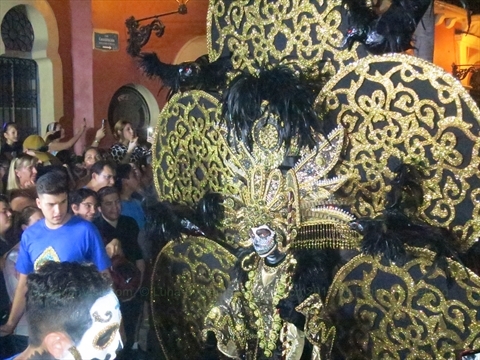 The parade starts and end at the Plaza Machado. 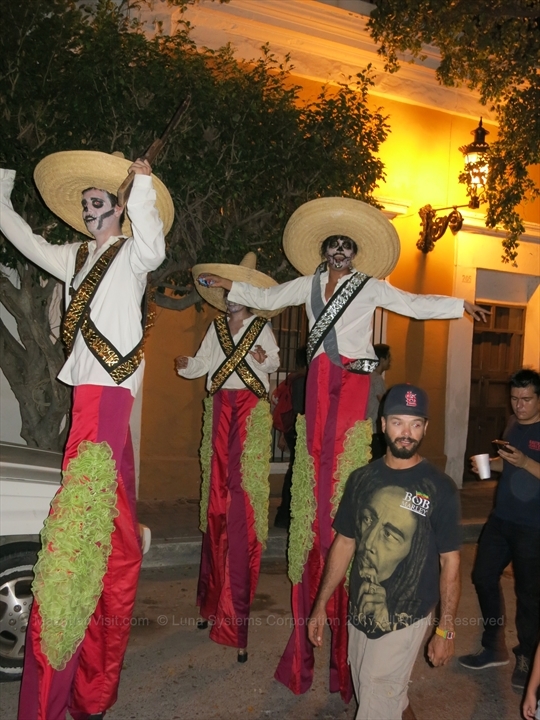 The parade goes for about 10 blocks through the old town passing many buildings that are about 500 years old. The parade starts at 8pm on November 1 each year. The parade is open to anybody, in costume or not. 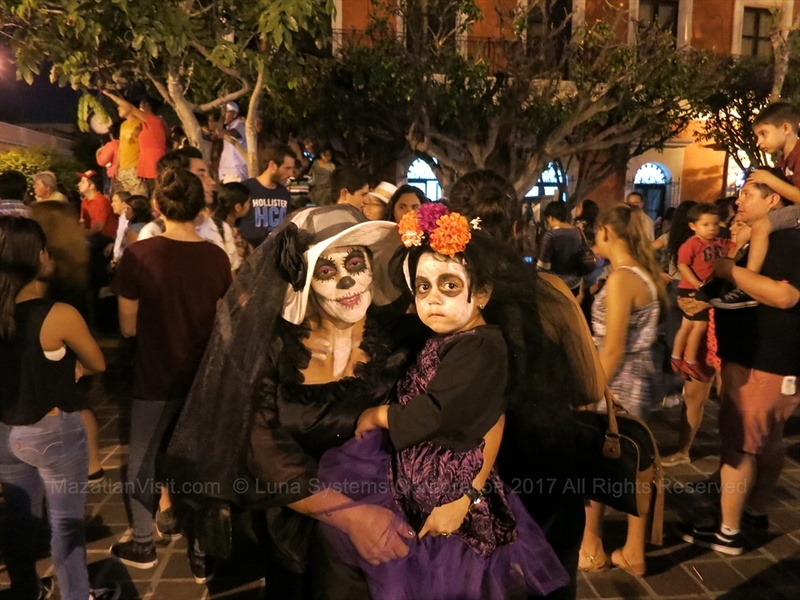 Thousands of people dress up in Day of the Dead costumes and make-up to take part in the parade. 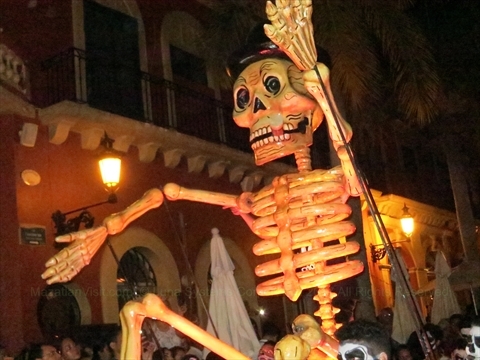 In addition to the average people in the parade, there are usually stilt-walkers, brass bands, dancers, fire-performers, skeletons, and other attractions. Unique to this parade are a number of tractors that have kegs of beer on the back of them. The people on the back of the tractor pumps beer from the kegs and fills cups of people that run alongside! It is crazy seeing hundreds of people trying to get some free beer! The parade takes about 1-2 hours to go the ten blocks. Along the way you will see many houses that have altars set up! Tip: To really enjoy the parade, get in the parade at the beginning, then walk a block or two, then wait a few minutes for the parade to pass you, then walk another block or two, then stop and wait for the parade to pass you. Using this approach you will both be a part of the parade and get to see all the attractions of the parade! This event is family friendly, however it is later in the evening and the crowd is huge so you really need to watch your children. 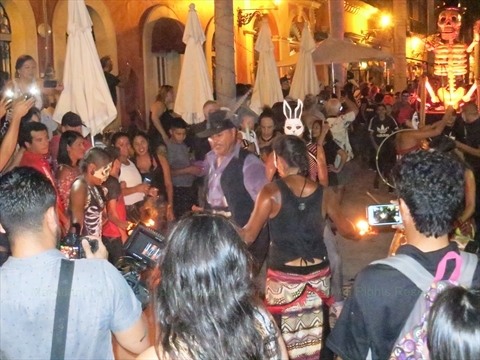 We highly recommend this event to anyone who is in Mazatlán on November 1. 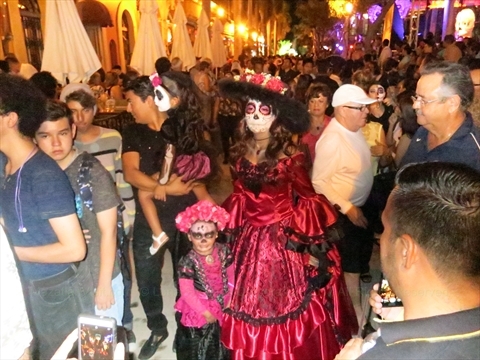 The focal point for Day of the Dead festivities in Mazatlán is the Plaza Machado in the old town. 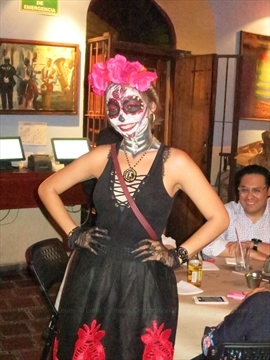 Each year, there is a theme for Day of the Dead. 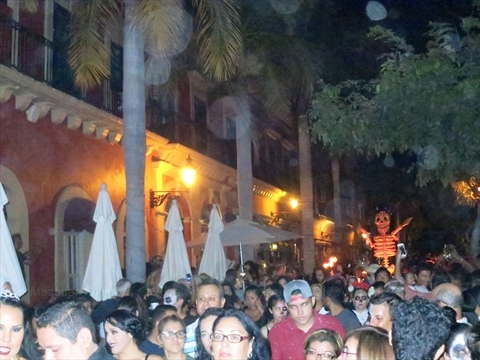 All the restaurants in the Plaza Machado are packed on this night (Nov 1). We recommend that you get a reservation or arrive early to get a seat outside. It is usually possible to get a seat inside some of these restaurants, but you won't see much and it is usually still very warm at night. 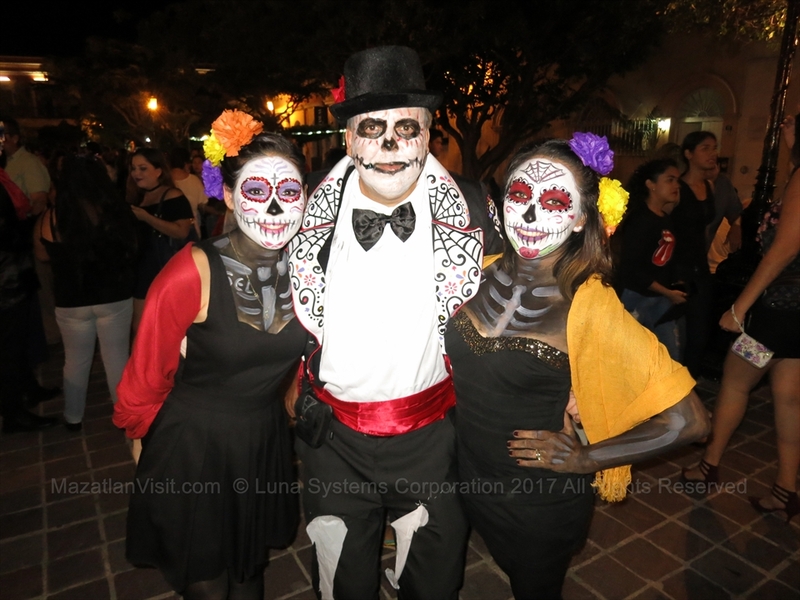 For 2018, the theme of Day of the Dead in Mazatlán was Pedro Infante, the famous actor from Mazatlán. 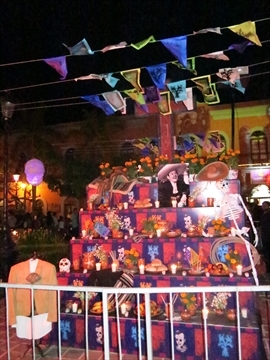 There were many altars for Pedro Infante set up throughout the plaza. 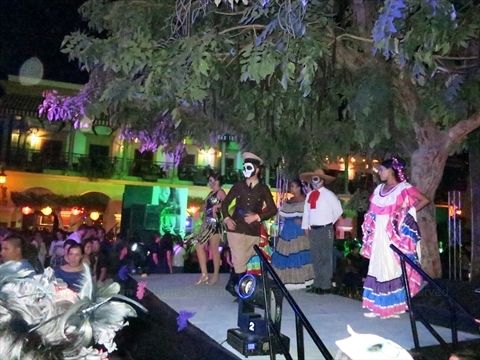 Also, there were numerous stages with dancers in costumes related to Pedro Infante movies set up. 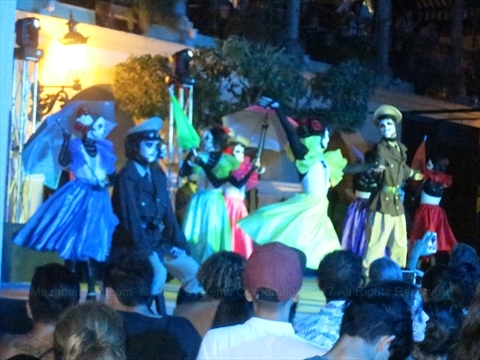 They danced for hours! It was fabulous! 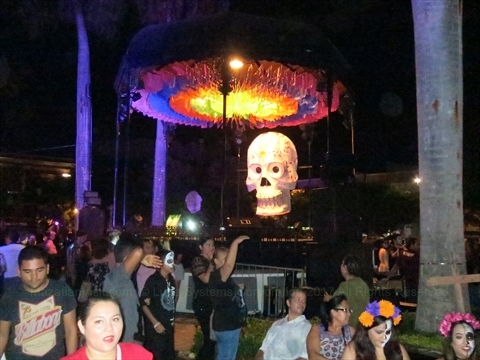 The Angela Peralta theatre has either shows or a display prior to the parade each year. You need tickets for to see it. Usually they give out tickets for free the day before, i.e. on Oct 31. 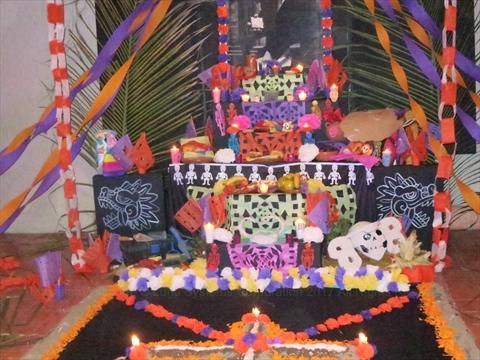 One of the Day of the Dead traditions is for people to make altars to pay respects to and remember their dead loved ones. 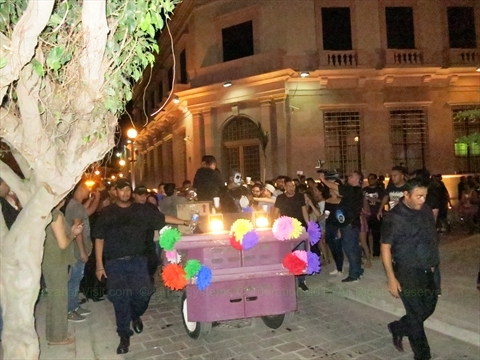 Many businesses and some homes in Mazatlan will create altars around the end of October into early Novemeber. 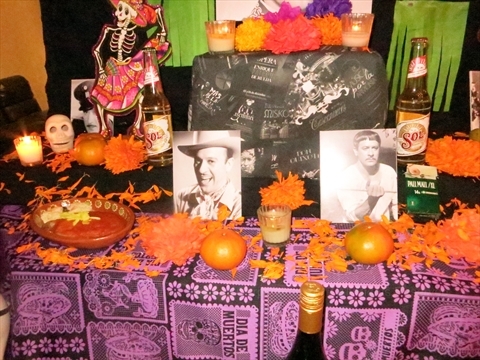 The Panama restaurant in the Golden Zone usually has a good altar. Also, the Hotel Costa De Oro usually has an elaborate altar. 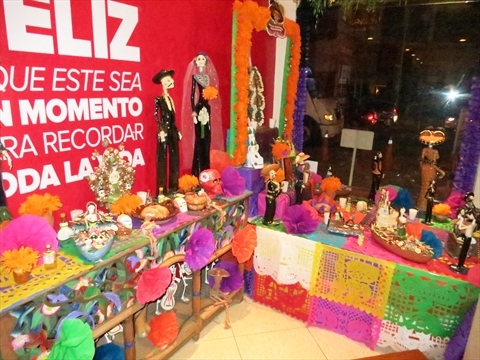 Altars typically will have photos of the loved one, pictures of the families saint, some bread and/or other favorite food of the loved one, and other toys and items related to the loved one. 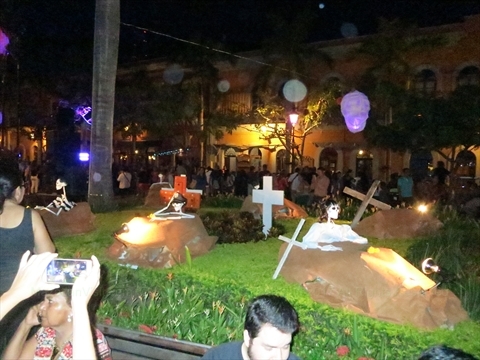 On November 1, there will be many altars set up in the Plaza Machado and at many houses along the parade route. On November 2, many families will travel to the cemetary where their beloved family members are buried. Families will usually food, decorate the graves, and just spend time with their dead loved ones.